A stationary setup will result in persistent rainfall across parts of Slovenia and Croatia in the next 48 hours. Large amounts of rain are expected, locally up to 100-150 mm within the period. Enhanced threat for local flooding is expected. 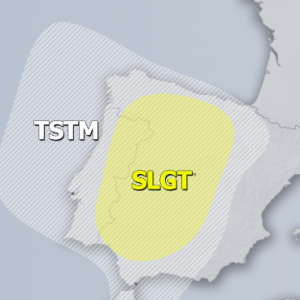 The region is under the influence of a broad low over the central Mediterranean. 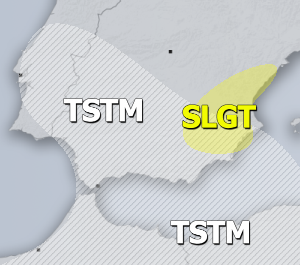 A low level convergence establishes across the Dinaric mountain range in Slovenia and northern Croatia, with easterly winds east of the range and southerly Scirocco (Jugo) winds west of it. Convective rainfall combines with orographic rainfall to produce locally up to 100-150 mm rainfall by Saturday morning. Models vary significantly in distribution of peak rainfall. Expect enhanced threat for local flooding across the entire region, however, only places with peak rainfall totals will likely see any significant floods.